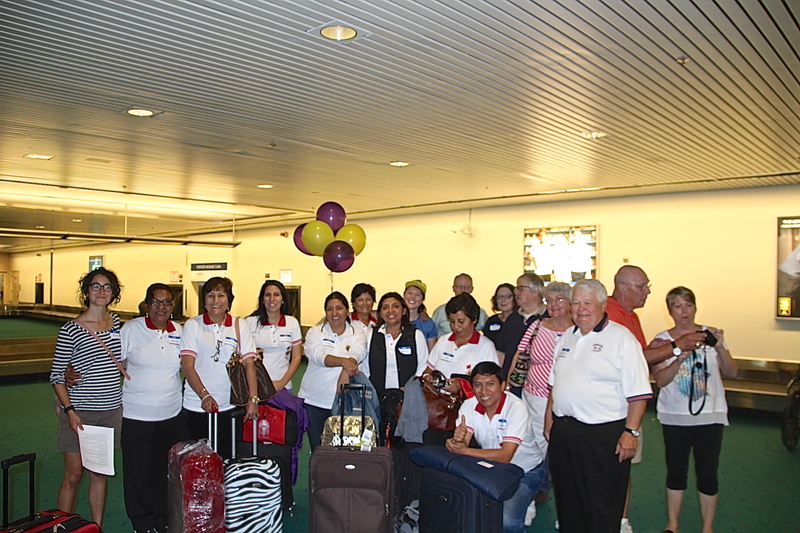 FACES/Lions Club Welcomes Peru Lions to Portland! A long time coming – our wonderful parters, the Peruvian Lions Club, have come for a visit to the lovely Portland, Oregon! They were welcomed by FACES and the Portland-area Lions Clubs on Tuesday, August 19th at the Portland airport. The Portland Lions have a packed schedule for their Peruvian friends! After their arrival on Tuesday afternoon the group gathered on Wednesday and by 9:15 were taking pictures on the steps of the State Capitol in Salem. Their tour guide, Jim, showed them all the highlights, including the State Seal, the House of Reps room, the Senate room, and even the golden pioneer at the top of the dome. The afternoon was rounded out with a hike at Silver Falls State Park outside Salem! The Peruvian Lions loved the gorgeous Oregon green scenery! We are so thrilled the Lions are here and that we are able to show them a little bit of Oregon after spending so many wonderful trips on their home-turf in Lambayeque, Peru!